Magnetically and thermally responsive micro-sized grippers have the potential to revolutionize the world of minimally invasive surgery. Their applicability in in-vivo biopsies has already been demonstrated . Moreover, recent studies demonstrated their capability to supersede human performance in terms of dexterity, precision and repeatability . However, presently conduction is used for their thermal actuation. For reasons of clinical safety, contact-less means of heat transmission should be used. 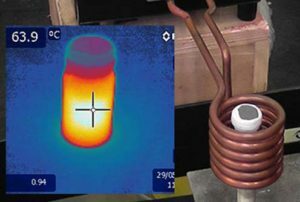 Project: In this assignment you will characterize and model the thermal behavior of micro-agents in response to the heating field. Master students will also have to implement and experimentally validate the developed model conducting in-vitro experiments.